Designs were both woven into and painted onto Basketmaker bags. The stripes on this bag were achieved by dyeing the wefts first and then weaving them into the bag. Compare the Basketmaker bag on the left to the Mohave bag on the right. 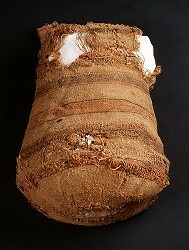 The Mohave bag was made more than 1,400 years later. 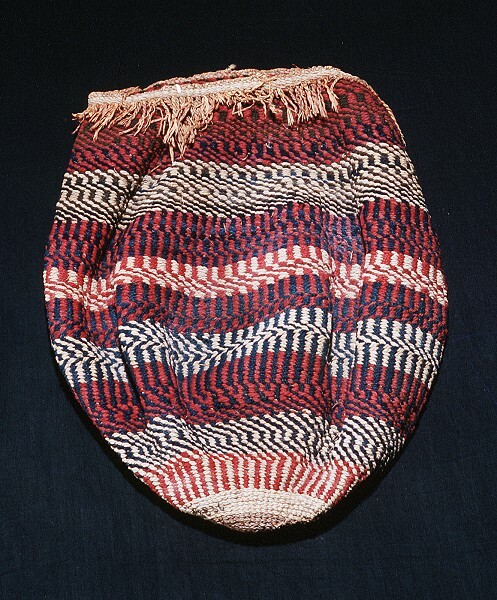 Not only are the bags similar in their striped designs, but they were both woven using the same weft-twining technique. Seen side by side, these bags clearly illustrate the continuity of design and weaving techniques through time in the North American Southwest.